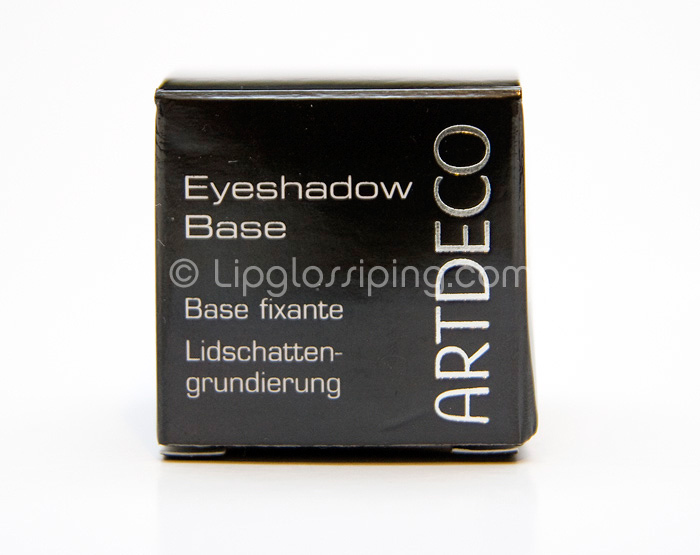 Still on the hunt for an easier to blend alternative to UDPP, I decided to give Art Deco’s Eyeshadow Base a go. I’ve tried Art Deco products before and on the whole, I’ve been impressed. I’m a fan of their eyeshadows and camouflage concealers in particular. Art Deco are a German brand established in 1985 and they’ve been trying to make an impact on this side of the channel for a couple of years now. I often spy “z”elebrities pictured in the likes of Heat magazine clutching their little Art Deco shopping bags. You can find the brand stocked in beauty salons and the like, but they’re mostly still trying to find a way into the mainstream market. Packaged in a sleek little black pot… nice and sturdy. Honestly though, this is my least favourite style of packaging… especially with these long nails of mine. HATE digging product out from under these talons. Yes, I could use a brush, but most of the time I can’t be bothered. The actual product is a warm flesh-toned creme with shimmer. If you’re in too much of a hurry for full eye makeup, I have used a touch of this to even out my lids with a slick of eyeliner and I’ve been pleased with the effect. 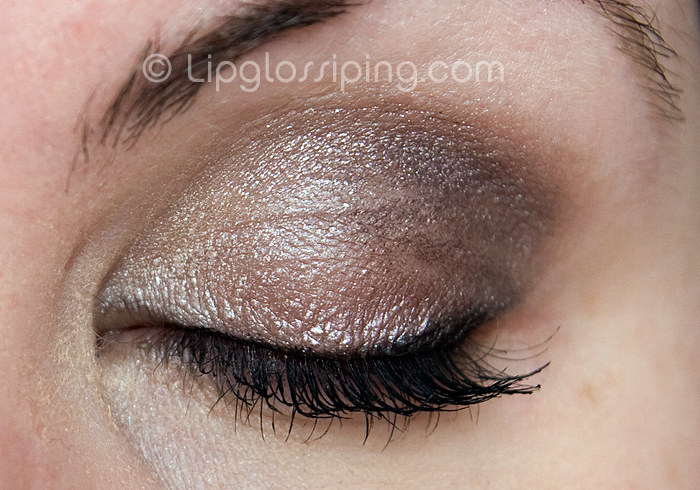 The shimmer kicks it up a notch, and aids in making me look a little more awake than I feel. 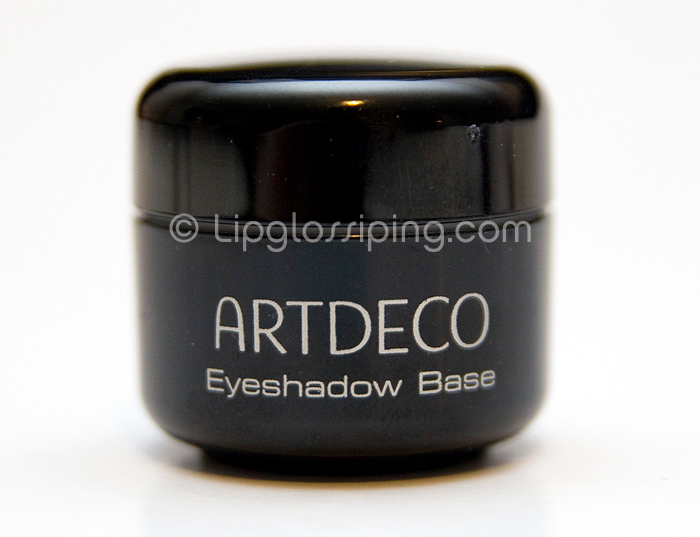 It glides onto the eyelids smoothly and blends (with my finger) to an almost powdery soft finish. 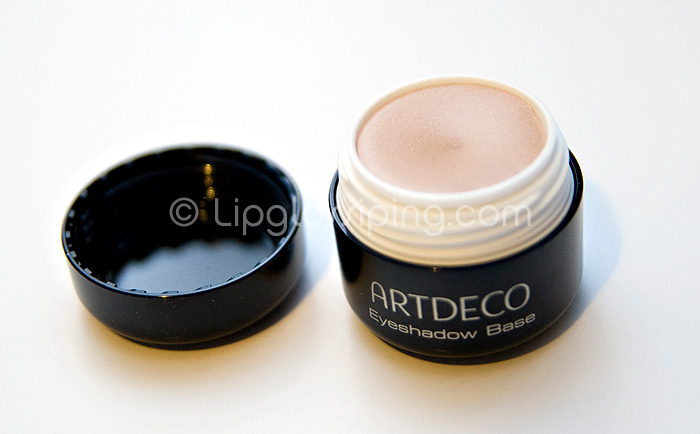 No stickiness or greasy residue is left on the lids. Shadows glide easily over the base, and blending is much more fluid than I find with UDPP. Still a little trickier than with no base or the Kryolan Supracolor, but it’s fine. The million dollar question… does it keep my eyeshadow crease free? UDPP keeps my shadows glued to my lid like me to Eastenders on Christmas Day, they just don’t budge till the last duh, duh, duhs. It actually looks worse in the picture than it did in the mirror, I think the flash from the camera really makes the imperfections stand out. 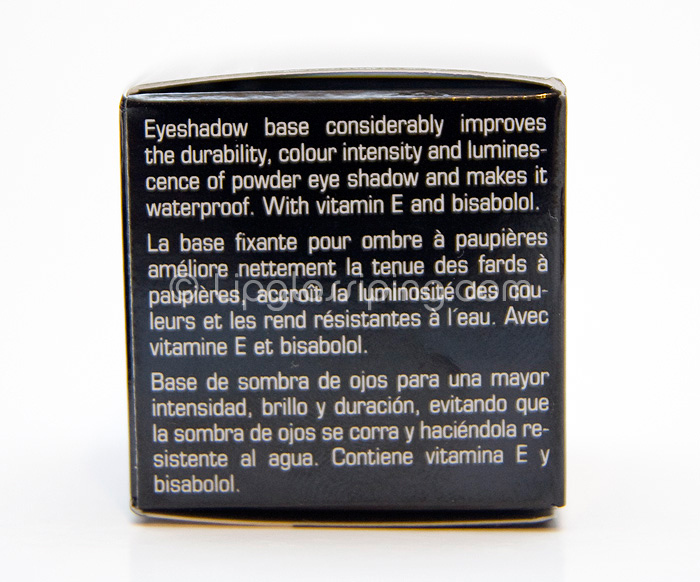 It’s creamy, non-drying, makes a good base when worn alone. It’s easier to blend with than UDPP and it does a thoroughly stand up job at keeping shadows in place. I don’t think I get quite so much longevity from it as I do with UDPP, but a minimum of 8hrs decent wear is probably all I really need. I’ve just been spoilt by UDPP still wowing me at bedtime. It seems to make the shadows just as vivid as UDPP and doesn’t appear to alter the original shades any more than UDPP does, but I’m not really that adept at noticing subtle changes which may well drive other people crazy with frustrations. It’s also substantially cheaper than UDPP… from memory, I think I paid around £6-£7 for my pot. ooo it looks lovely, i love the colour! forgive my makeup ignorance, what does UDPP stand for? Hi Ginny, Thanks for stopping by! UDPP stands for Urban Decay Primer Potion it’s a product made by Urban Decay to make eyeshadows stay on longer without creasing and to increase the vibrancy of the colours. I tried this and found it smelled funny – kind of like washing up liquid? Did you notice a smell or is it just me being odd again? By the way, they have Art Deco at the Garden Pharmacy in Covent Garden now. I do like their eyeshadows. Uh – I don’t like this primer. Mine dried up pretty fast and has lot less staying power than TFI or UDPP. I recently bought the ELF Studio Eye Primer and Liner Sealer, and am very disappointed in the eye primer. I seem to have Sahara-dry eyelids, and this primer is just awful, it accentuates any dryness on my eyelid which is even more noticeable when I apply eyeshadow, either dry or creme. Yuck! I hate it. I also have the Bloom Eye Primer which is exactly the same. I’ve tried dabbing eye cream on before applying, but it only helps marginally. I *might* give this a go. So far the whole eyeshadow primer thing has been a big disappointment for me. I haven’t tried UDPP or Too Faced, the cost has put me off a bit, especially if the damned stuff doesn’t work!! okay..it’s going back on the list. The testers must have been sitting out too long or something, because this sounds nothing like it. Yay..another good primer!